But, at the risk of sounding jingoistic and patriotic, the United States began with a wonderful set of ideals and our history largely reflects a struggle to extend those ideals to the entire population. Now let’s look at Putin. When I tweeted my column about Russia’s flat tax two days ago, I screwed up by making a joke about the Trump-Putin “bro-mance.” I got savaged on Twitter by people who accused me of somehow endorsing (or at least accepting) the many repressive policies that exist in Russia. The silver lining to Trump’s disturbing interview is that it gives me an opportunity to make clear my disapproval of both Putin and the silly doctrine of moral equivalence. With regards to Russia’s president, do we have any reason to believe that he is motivated by the principles of classical liberalism? Does anyone think he wants to make Russia a free society? That he respects human rights and the rule of law? Heck, even Trump didn’t dispute the premise that he’s a killer. Moreover, how can anyone believe in moral equivalence when there’s a huge gap between the United States and Russia on measures of liberty. Consider, for instance, the Human Freedom Index. As you can see, the United States is far from perfect. We’re ranked #23 for overall freedom, #28 for personal freedom, and #16 for economic freedom. But we look good compared to Russia, which is #115 for overall freedom, #110 for personal freedom, and #102 for economic freedom. 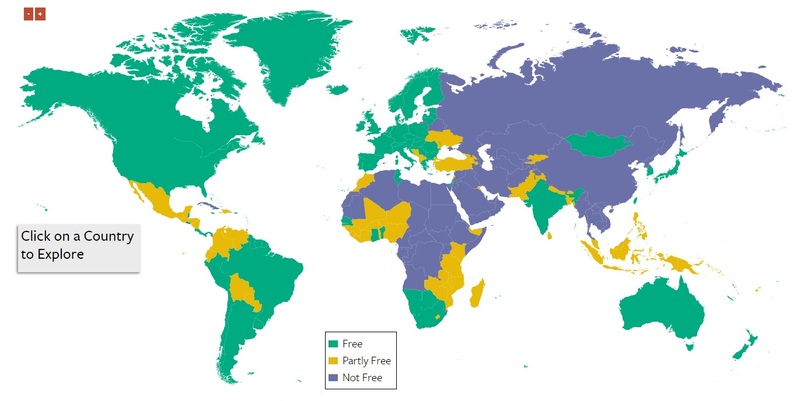 And the Freedom House rankings show an equally dramatic difference. The United States has a score of 90 on a 0-100 scale, with the highest rating for political rights and civil liberties. Russia, by contrast, only has a score of 22 and gets the next-to-last rating for political rights and civil liberties. To conclude, some folks sometimes say the continuing imperfections in the United States mean that there’s only a “difference in degree” between us and Russia. There is no moral equivalence. P.S. On a separate topic, you won’t be surprised by this report from the Washington Times. More than half of IRS employees found to have intentionally cheated on their taxes last year were allowed to keep their jobs, according to numbers released by the inspector general that suggest the agency is still reluctant to punish its own staffers for breaking tax laws. Yet another example of hypocrisy in government. I’ve noted the IRS has thieving employees, incompetent employees, thuggish employees, brainless employees, protectionist employees, wasteful employees, and victimizing employees. Now it has slapped-on-the-hand employees. 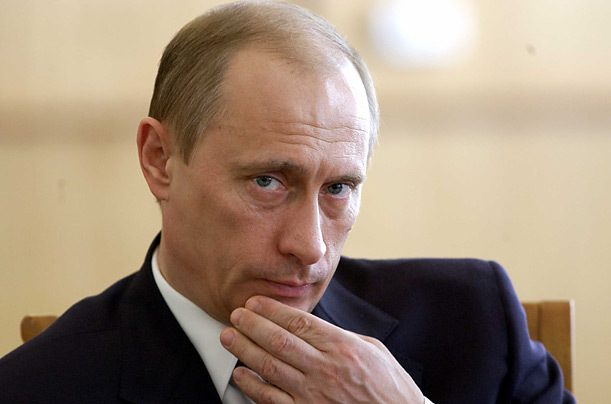 Although he implemented a flat tax in Russia, I don’t think of Vladimir Putin as a supporter of free markets. Heck, he was head of the a senior officer of the KGB during the communist era, and he presides over a country that is more known for cronyism rather than competitive markets. So if he criticizes European nations for having excessive welfare states, it’s like being called ugly by a frog. Here are some of the amusing details from Euractiv.com. Russian President Vladimir Putin, speaking ahead of the G8 Summit in Northern Ireland on 17-18 June, said his country would not follow the mistakes of Europe that led to the eurozone crisis. In a wide-ranging interview he blamed the EU’s “mentality” for endangering the economy and the “moral basics of society”. …Asked if Europe’s welfare state model can be competitive today, Putin said Europe is living beyond its means, losing control of the economic situation and that Europe’s structural distortions were “unacceptable” to Russia. “Many European countries are witnessing a rise of [the] dependency mentality when not working is often much more beneficial than working. This type of mentality endangers not only the economy but also the moral basics of the society. It is not a secret that many citizens of less developed countries come to Europe intentionally to live on social welfare,” Putin said. It’s hard to disagree with anything Putin says in that passage. Seems like he understands that Europe made a big mistake by having too many people in the wagon and too few people pulling the wagon. Addendum: Oops, I gave Putin an undeserved promotion. He was a high-ranking KGB official – Lieutenant Colonel – but did not head that warm and cuddly organization.